When was the first time you heard a Klipsch Forte? The first time I heard a Forte was in 1985, a year before I started working at Klipsch. I was at a local retailer and I can still remember the excitement in the sales guy’s voice as he auditioned the speaker for me. The Forte is a perfect combination of size and performance. And for that reason, it will surely put a smile on your face. What is one of your favorite songs to listen to on the Forte’s and why? “More Than One Way Home” by Kebmo, because it shows an excellent balance in mid-range, bass, and treble frequencies. It also has great center imaging. You feel like you can reach out and touch Kebmo’s voice. What is a favorite component to pair with the Forte’s and why? The Leben CS-300 XS amplifier, which uses el 84 vacuum tubes rated around 15 watts per channel. It really matches well with the sensitivity and efficiency of the Forte. What is the most memorable thing you’ve heard others say about the Forte when they heard it for the first time? The most memorable thing I can think of about the Forte was in an interview with the original designer, Gary Gillum. He talked about Paul’s influence on the design, and more specifically his support of its direction. There’s even a memo that surfaced from Paul W. Klipsch (PWK) giving Gary his support of the passive radiator solution and suggesting that Gary seek patent protection. The large passive radiator was a large part of the Forte’s success. PWK referred to the design and the resulting deep bass extension as “pulling a rabbit out of a hat”. The audience for the Forte is anyone who is a 2-channel fan because it’s a full-range speaker that doesn’t really need a subwoofer. Do you have a favorite story you can share about PWK? My favorite story about PWK is simple. 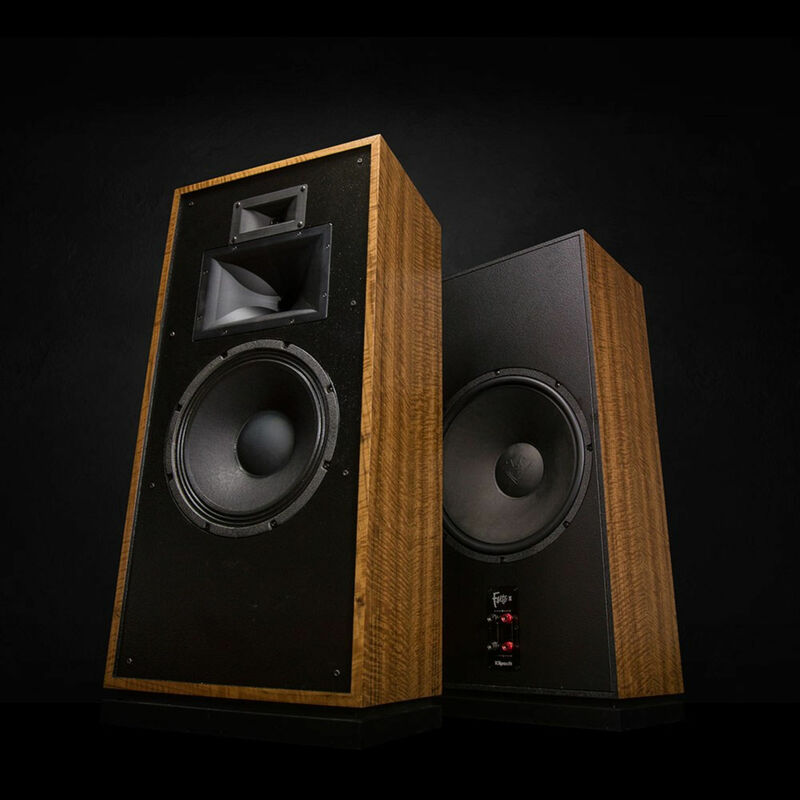 The Forte is the only pair of Klipsch loudspeakers Paul Klipsch had in his home that he didn’t design.